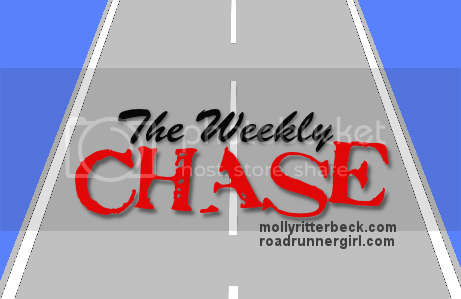 Road Runner Girl: The Weekly Chase #200! 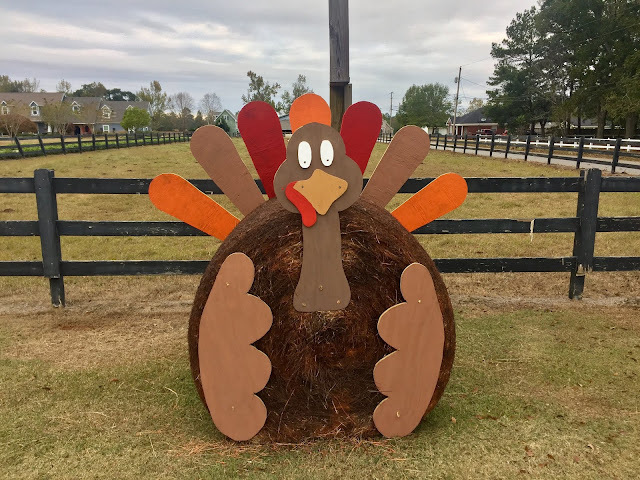 Happy Thanksgiving week y'all!!! I am so thankful to be off of work this entire week! I'm looking forward to spending lots of quality time with my family and fur babies!!! 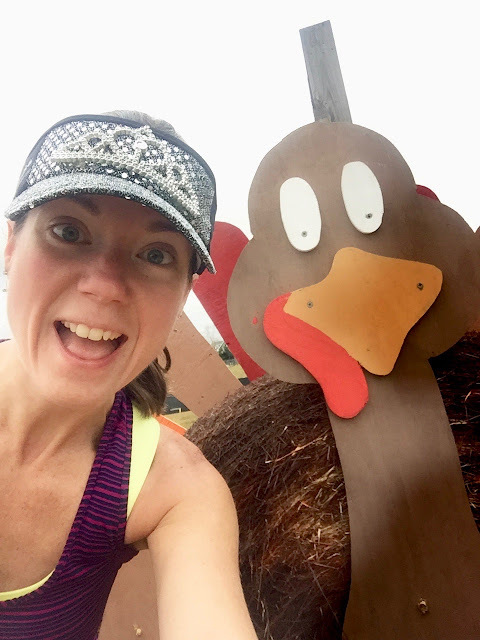 This weekend I met a turkey during my long run! One of the farmers down the road from my house made him out of a bale of hay! At Halloween time they had a pumpkin jack 'o' lantern made out of a bale of hay too! So cute! 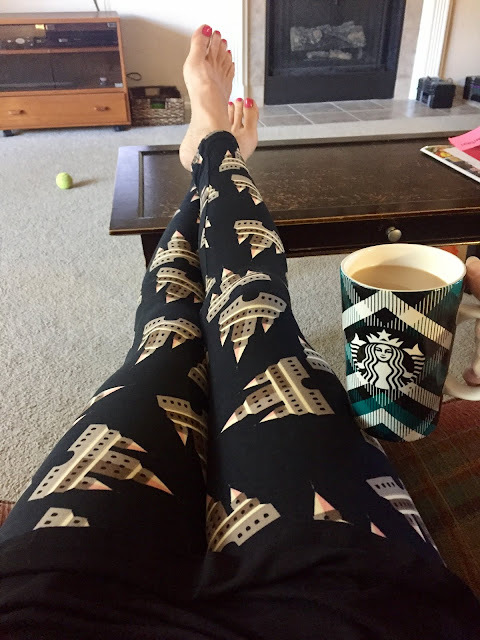 I also have to share with y'all my newest pair of Lularoe leggings! These were my unicorn (a print you search and search to find)! I had only seen them with a teal background so I was so excited to see them with a black background! And I was fast enough to get them! The Disney girl in me LOVES these castles!!! Saturday we did some shopping! It got really cold this weekend and we discovered that the boys don't have any warm clothes! So we got them some jeans, long sleeve shirts, and jackets! After shopping Andy just pulled right into Starbucks without me having to ask! He really does love me!!! Archie stayed snuggled in his bed on Sunday morning when it was so cold! 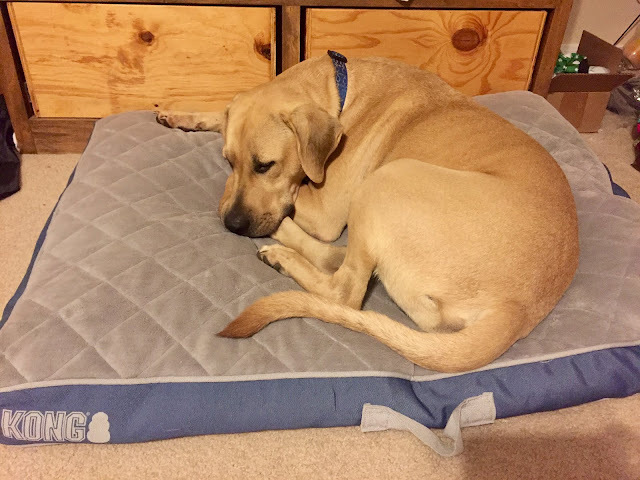 He LOVES his bed!!! Andy also decided he wanted to paint the living room this weekend! 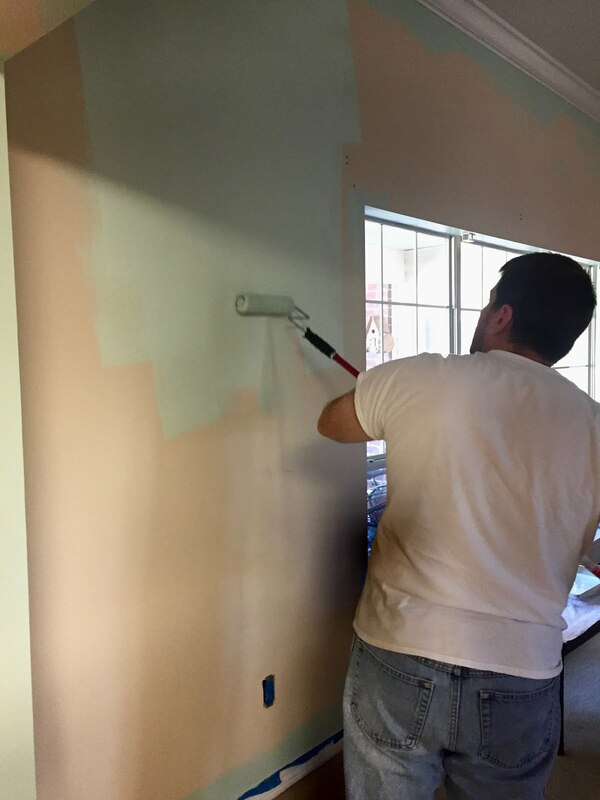 So we picked a color, went to Lowe's, and he painted! Because it was so cold on Sunday morning....I got to wear the new running tights I bought at TJ Max this summer! They are super cute! 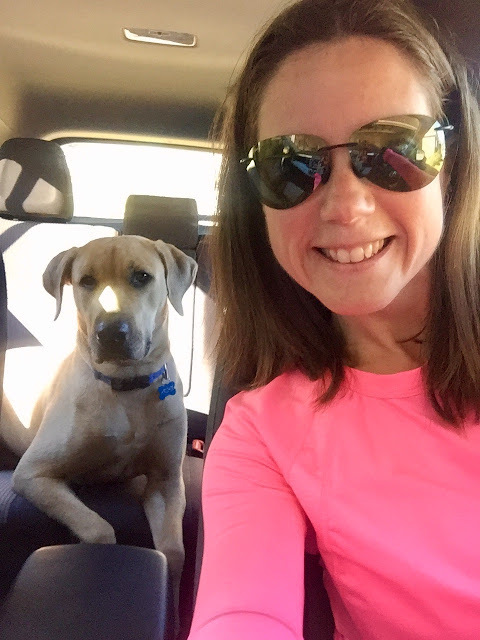 Archie also decided he really wanted to go for a car ride after my run Sunday morning. So being the good doggie mommy that I am I took him for a ride around the block. He was one happy doggie after that lol! 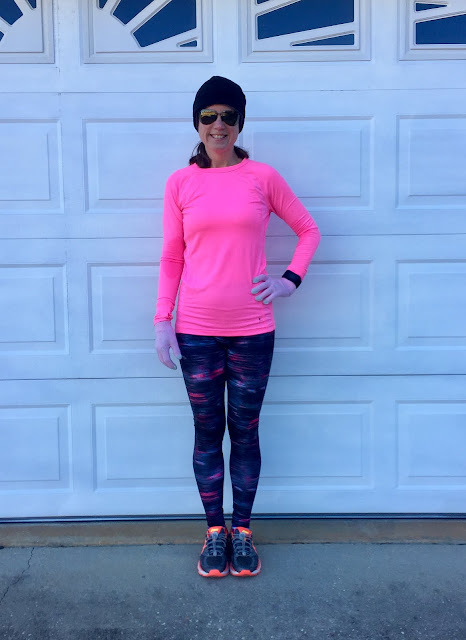 Goal #1: Run every day! Yes! I can't believe I'm in the 900's now! Goal #6: Take at least one walk this week. Yes! I walked every day! Goal #7: Strength train at least 2 times this week. Yes!!! Goal #8: Dye and paint Indian shirts. Yes! And they turned out super cute! Goal #9: Finish Thanksgiving Feast centerpieces. Yes! We had a great Thanksgiving Feast at preschool! Goal #8: Write my Battleship 12K Race Recap. Sorry it has taken me so long to recap this awesome race! I'm hoping to get to it this week! 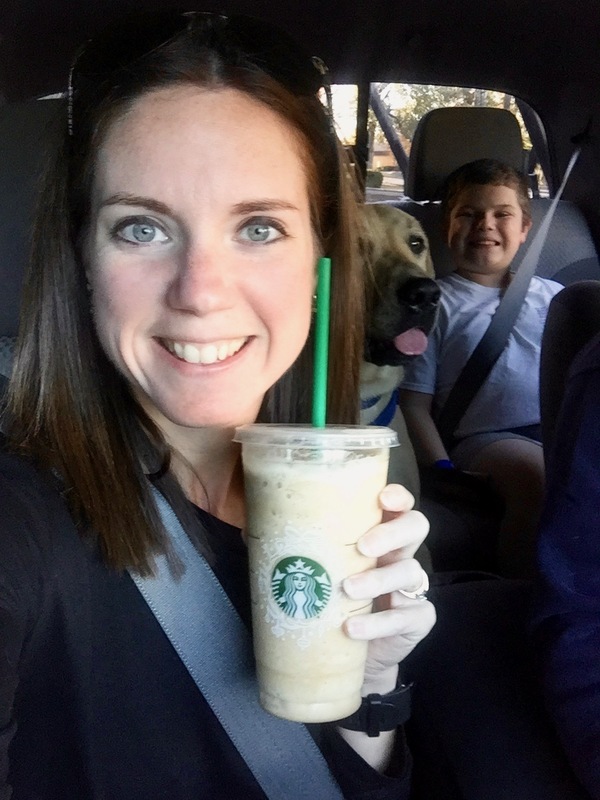 Goal #9: Spend quality time with my family. This week I plan on being with the family as much as I can...and not being on social media as much. I probably won't post a Fitness Friday post this week so please forgive me! I hope you all have a very very Happy Thanksgiving!!!! I'm so thankful for all of you that read my blog and support me in my running and fitness endeavors! Thank you!! !